"This is still the only book out there that addresses this aspect of anesthetic management. It is brief, to the point, easy to read, accessible 24/7, and makes quick general recommendations about management. In the middle of the night, it can be a life saver for anesthesiologists, no matter how experienced they are. It is a must-have for every practicing anesthesiologist. "- Tariq Malik, MD (University of Chicago Pritzker School of Medicine) 5 star Doody Rating! Your awareness of uncommon diseases and possible complications is vital to successful anesthetic patient management. 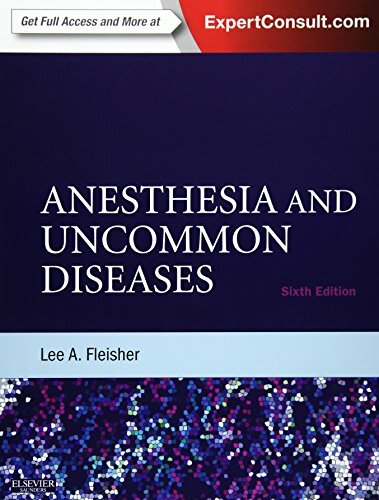 Anesthesia and Uncommon Diseases, 6th Edition, brings you up to date with new information on less commonly seen diseases and conditions, including the latest evidence and management guidelines. This unique medical reference book is essential for a complete understanding of today’s best options and potential difficulties in anesthesia.